Turning 1 is a big deal. 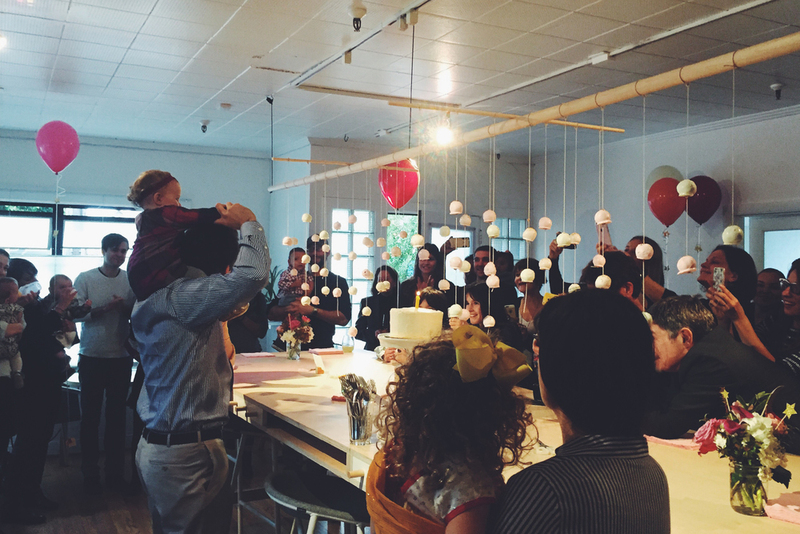 For baby Ruby's birthday, Taste Workshop hosted an afternoon party for 60 guests. 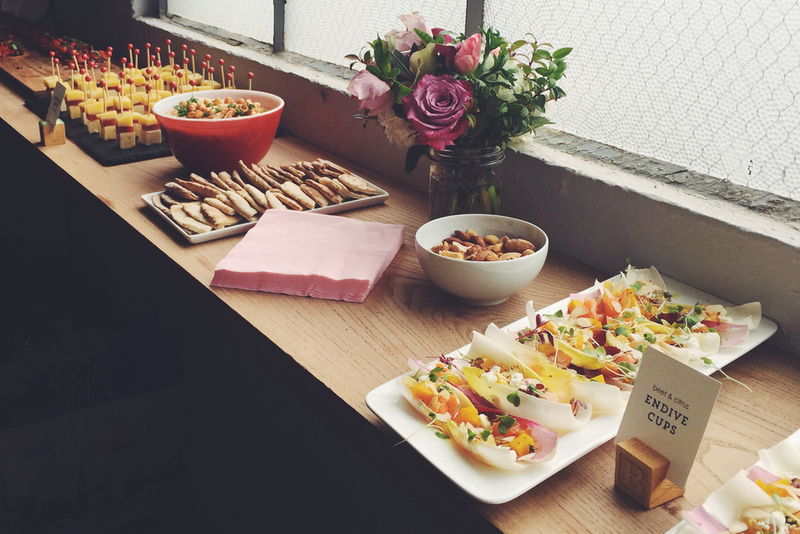 We served grapefruit mimosas and h'orderves. 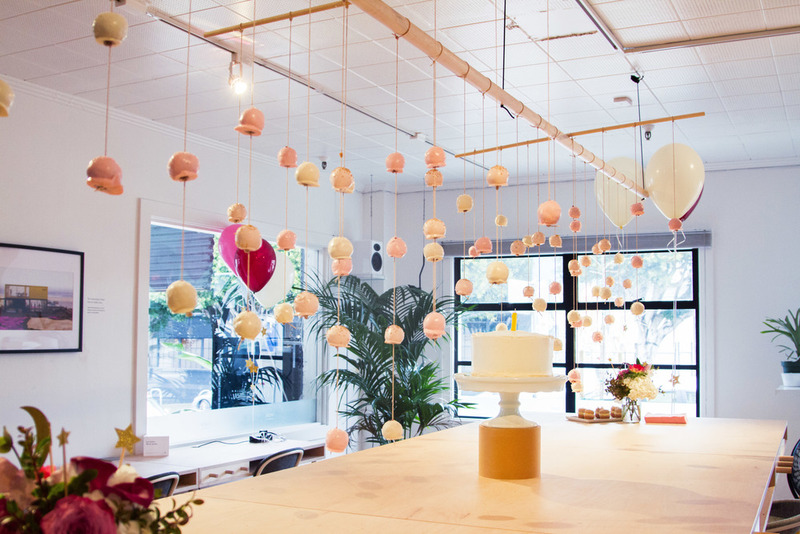 The center piece was of course dessert - a cake mobile, where we hung 100 cake pops (ruby red on the inside) and a small butter cake with beautiful layers made by Leah Rosenberg, We filled the space with colorful balloons, each with a woodcut elephant attached at the end.